The Start of the new season has flourished and we hope this year will provide you with the best results through your hard word and determination. The previous year ended with the Specialist Officer Exam and since this Clerk notification came in the previous year , this exam pertains to the year 2017, even though the mains exam happen in a different year. English Language being the most difficult section to crack in the recent exams, your preparations should have a dedicated one for this particular section. 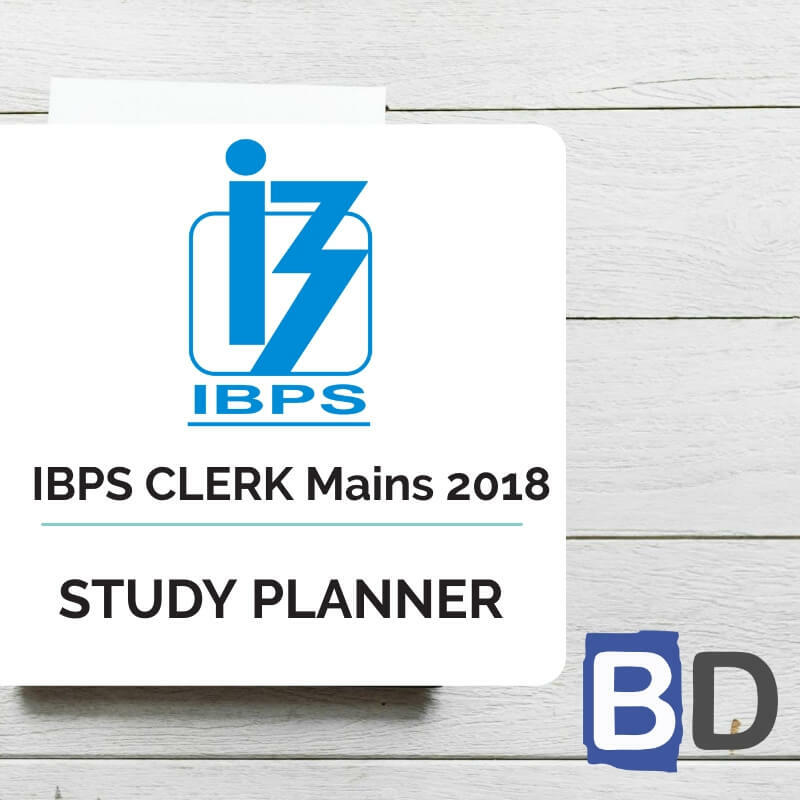 Also these questions and the topics which are being asked will help you to crack the IBPS CLERK MAINS EXAM 2017. Triple and Four Fillers are the ones which is provided in this particular post. D.1-5): In each of the following sentences there are three blank spaces. Below each sentence there are five pairs of words denoted by options (a), (b), (c), (d) and (e). Find out which pair of words can be filled up in the blank spaces in the sentences in the same sequence to make the sentences meaningfully complete and mark your answer accordingly. Q.1) The move has _________ a State-wide __________ to upgrade hotels to 4-star and above status in a bid to get a slice of the __________ liquor business pie. Q.2) “Criticism which help us secure the most basic requirement of a __________ democracy, that is, __________ votes are not _________, is absolutely necessary” the petition argued against the blanket ban. Q.3) India’s economy continues to _________ with the government’s __________ for first-quarter gross domestic product _______ growth at a 13-quarter low of 5.7% in April-June. Q.4) The further ____________ of the hard-won freedoms from ________ will remain an _________ task so long as a large minority of the population is systematically excluded from the political process. Q.5) The government’s ________ stance on this issue has contrasted with its __________ for U-turns, and is seen as a sign of the Prime Minister’s own __________ with a tough immigration regime. D.6-10): In the following questions three blank spaces are given in a sentence followed by three words denoted by (A,B,C). Find the suitable words(the words may/may not be in the correct sequence). If any word(s) is/are not suitable, choose correct word from the options denoted by (a,b,c). For (e.g) If options ‘A’ and ‘B’ are correct, ‘C’ is inappropriate choose option ‘c’. If all the options (A,B,C) are correct as per the given sequence, then choose ‘e’. If all the options (A,B,C) are correct but the sequence is wrong, then choose the correct sequence. For (e.g) if all the options (A,B,C) are correct but the sequence is (C-A- B) then choose the correct sequence from the options provided. If the sequence is wrong then choose ‘d’. Q.6) The primary aim of this exercise is to increase ______ amongst the three navies of India, U.S. and Japan and to _______the strong and _______ relationship between them in many areas, including maritime security operations. d) The given order is incorrect. e) The given order is correct. Q.7) In Hiroshima, Mr. Obama _______ to the nuclear _________agenda, stating that new and __________ technologies needed a “moral revolution”. Q.8) Chinese commentators recalled the horrors __________by Japanese militarism, _________that this could not be ________by claiming nuclear victimhood. Q.9) The North has been __________missile and nuclear weapons related activities at an ____________ rate and is _________to have made progress in developing intermediate-range and submarine-launched missiles. Q.10) The scientific community can make an immediate practical _________ by developing technologies to monitor whether countries are ________with their disarmament __________. D.11-25): In each of the following questions two statements (I,II) are given with blank spaces, followed by five pair of words (a), (b), (c), (d) and (e). Choose the pair which fits appropriately in both the statements (I,II). Q.11) I) The service and sacrifice of our _____ must not be in _____ and it must be a wake-up call for the government to take a decisive action. II) No citizen can say that during the Freedom struggle movement against the British, our _____ died in _____. Q.12) I) He _____ the service _____ by the court and the professionalism displayed by lawyers practising in the Bench for the past three years. II) The Police Officer _____ the public for the information they _____ about the theft in their area. Q.13) I) The _____, ranging from farmers to school children, _____ the Minister about the pros and cons of different welfare schemes. II) The 108 ambulance reaches record number of _____ and thanked the people who _____ correct information on location. Q.14) I) This _____ would help _____ direct democracy in our country, broadening access and raising inclusiveness. II) The _____-based FP program will _____ a better understanding of what elements are needed for a successful volunteering. Q.15) I) _____ a desire for a new chapter in the history of the sub-continent, the President said Pakistan must break with the past and terrorism be _____. Q.16) I) A bright young woman finds herself short-changed by life, as all her time is _____ into taking care of her bedridden and increasingly _____ mother. II) The men were _____ by their _____ leader to carry a 100 kg cement bag for the construction of the building. Q.17) I) A graduate of the IBS, with an MBA is leading the charge to rescue Japanese temples from their _____ present and make them relevant to Japan’s stressed-out, overworked and _____ population. II) The monuments that are in _____ state have to be rejuvenated and so the IMA has called for young architects to help them in preserving those from _____. II) Melania Trump was accused of _____ Hillary Clinton’s election manifesto and _____ that she delivered at a University last year during elections. Q.19) I) Pakistan’s ‘Mother Teresa’ was today _____ a full state _____, a first for a Christian woman in the Muslim-majority country. II) The federal government confirmed that Dr. Gopal will be _____ a state _____, who served leprosy patients selflessly with devotion, on Saturday August 89, 9087. Q.20) I) It’s not important to _____ on which meal is the most important, but to treat your morning meal as _____ for the day. II) I have no time to _____ up on having lunch but my mother has always advised me to _____ up my appetite. Q.21) I) There is no need to _____ it because as a system it is committed to the _____ as it is. II) The idea of bringing out the mandatory of helmet and to _____ it already exists in the city and this one _____ is not followed by many motorists. Q.22) I) The notifications are in _____ violation of Supreme Court orders which _____ make Aadhaar ‘purely voluntary’ till a final judgement is passed. II) The man’s _____ behaviour towards the Police proved _____ that he is a culprit. Q.23) I) It would seem _____ to _____ this issue with India’s close military ties with the U.S.
II) The _____ meeting between the two companies seems that they can never _____ in the impending days. Q.24) I) Facebook to ______ fact-checking in fight ______fake news. II) German officials are planning to ______ the fight _____online viruses. Q.25) I) If the traffic rules are _______by the citizens, they will be ________by the officials. II) The company apparently ________ a number of rules and was ______ under Section 39 of the Motor Vehicles Act. Check the answers for the above questions from the Triple Fillers and Four Fillers from the link that is provided below.